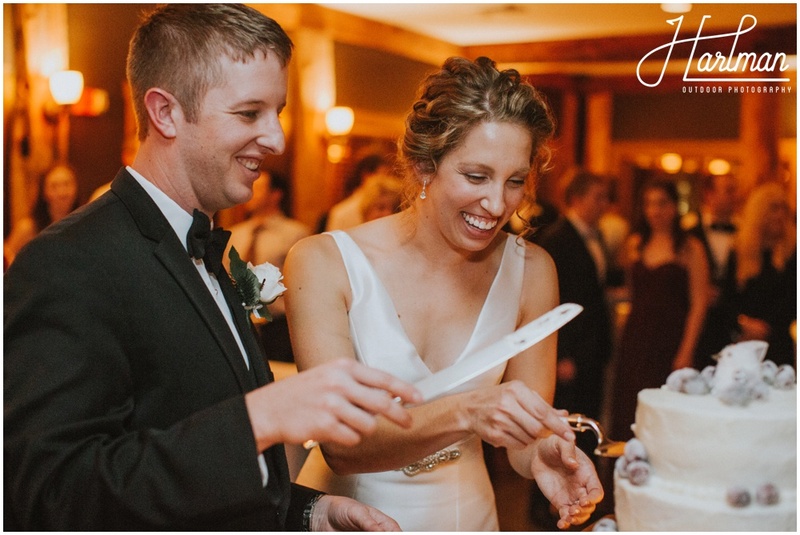 Nick and Nicole, also known by the name Nic2, are some of the most joyful people we have ever met. 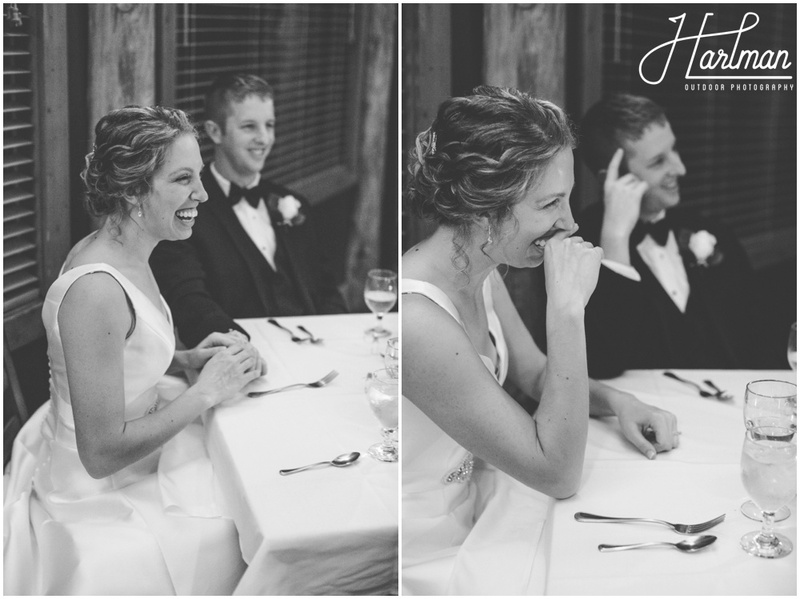 Looking through the photos its hard not to smile just seeing how happy they are. 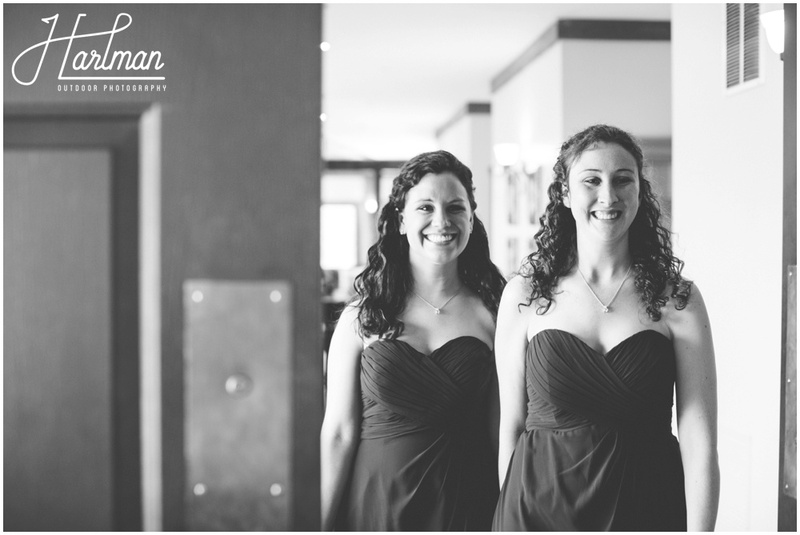 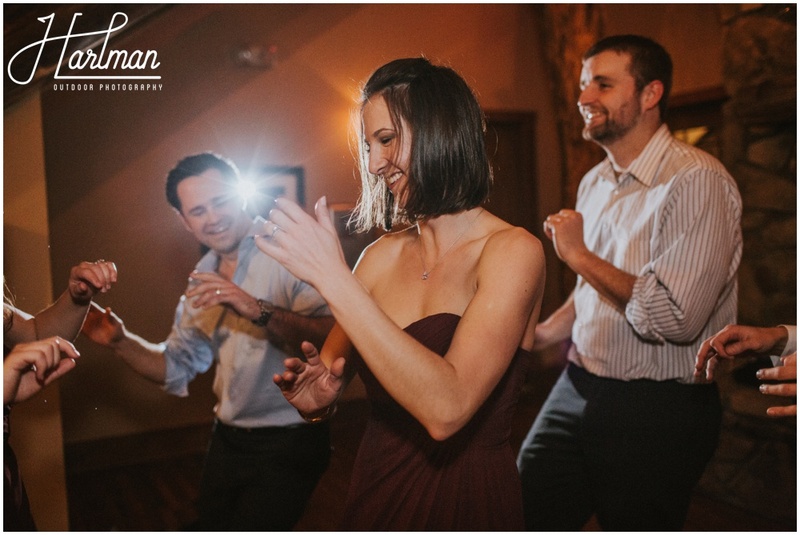 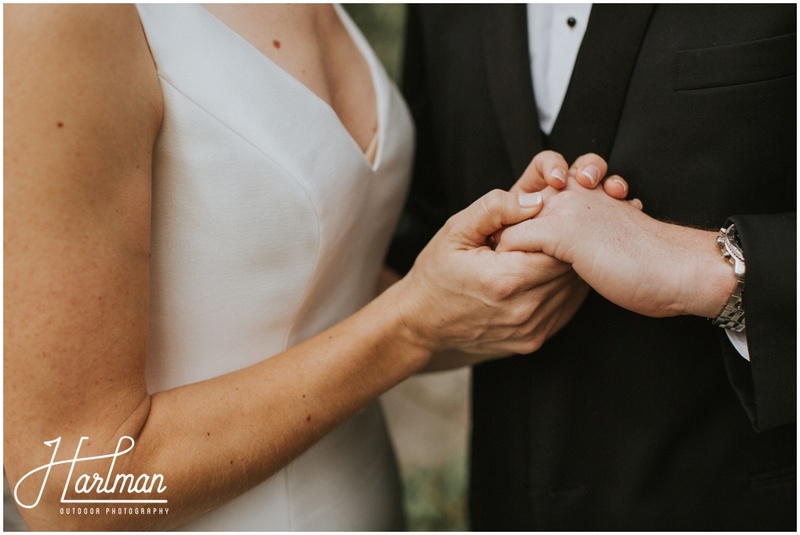 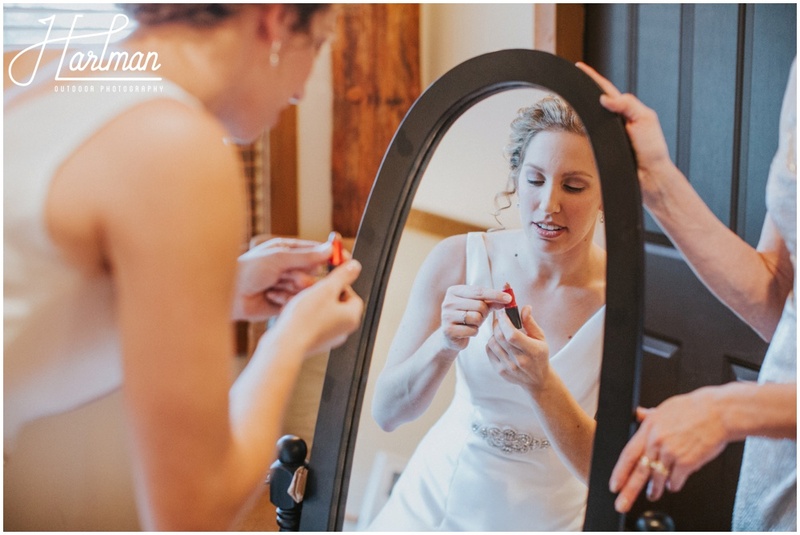 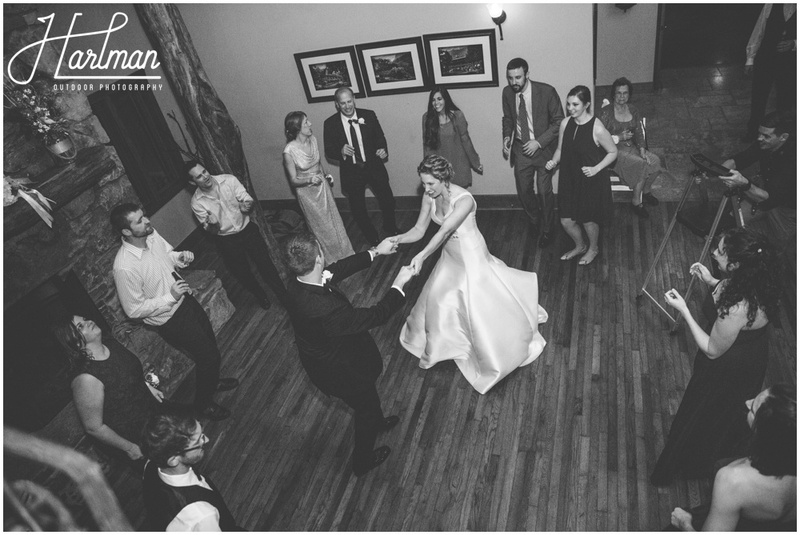 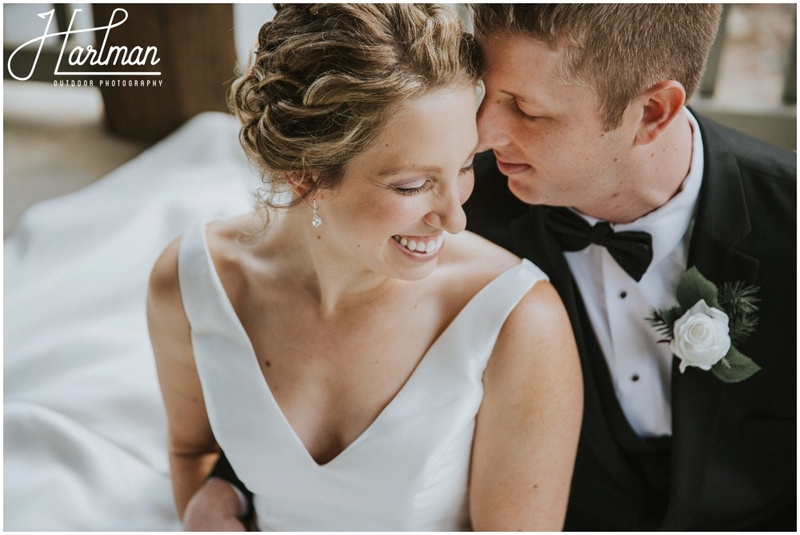 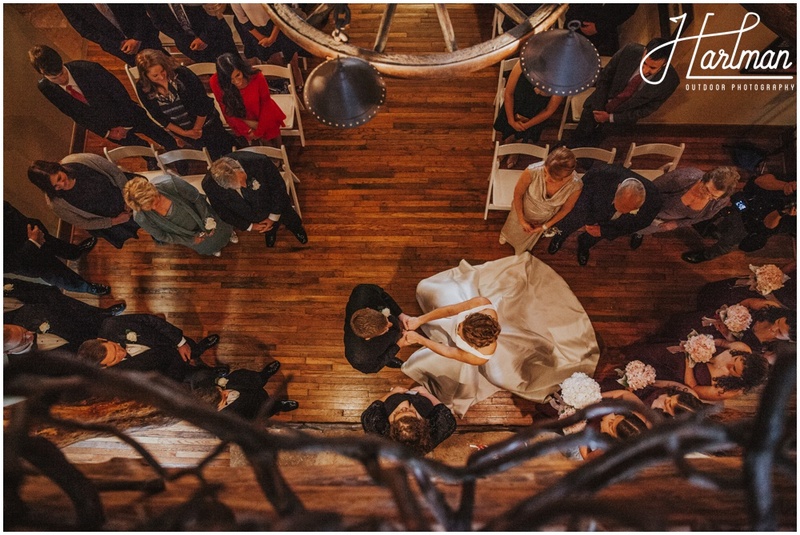 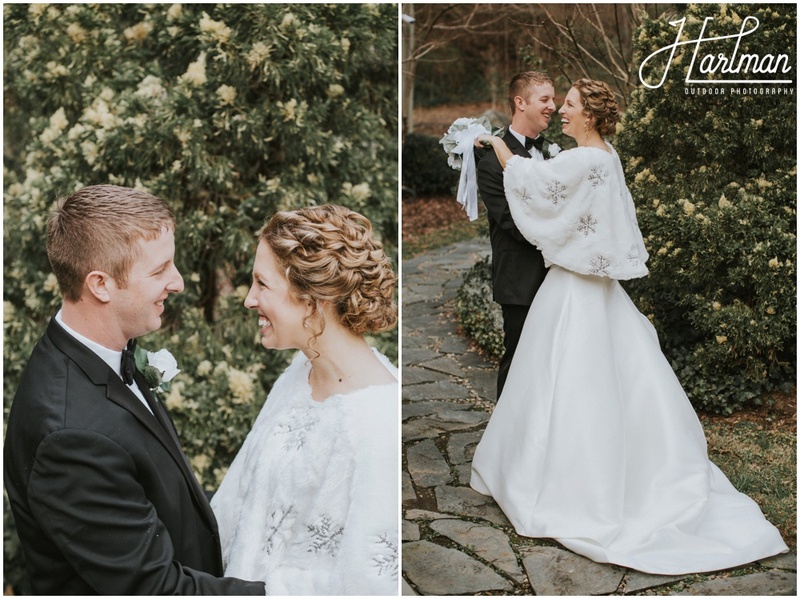 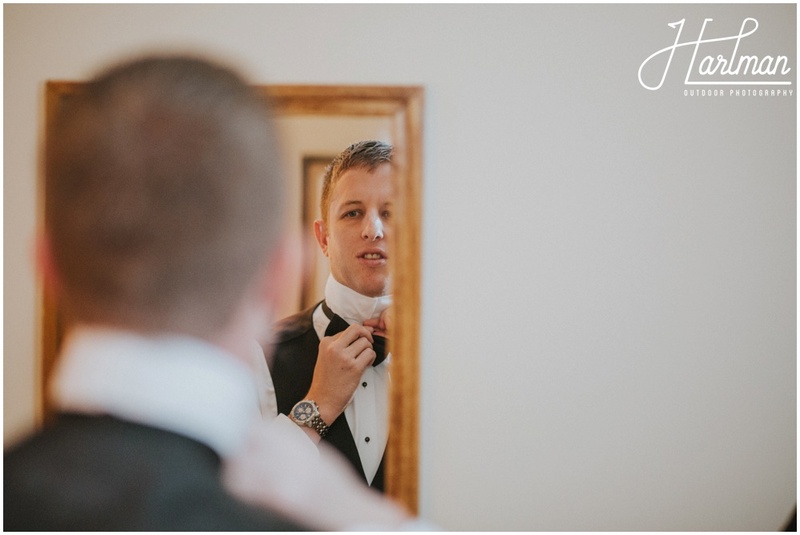 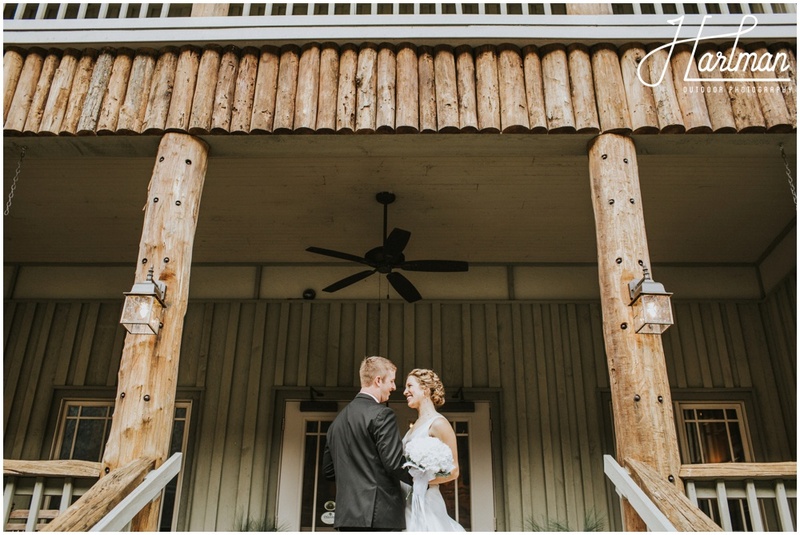 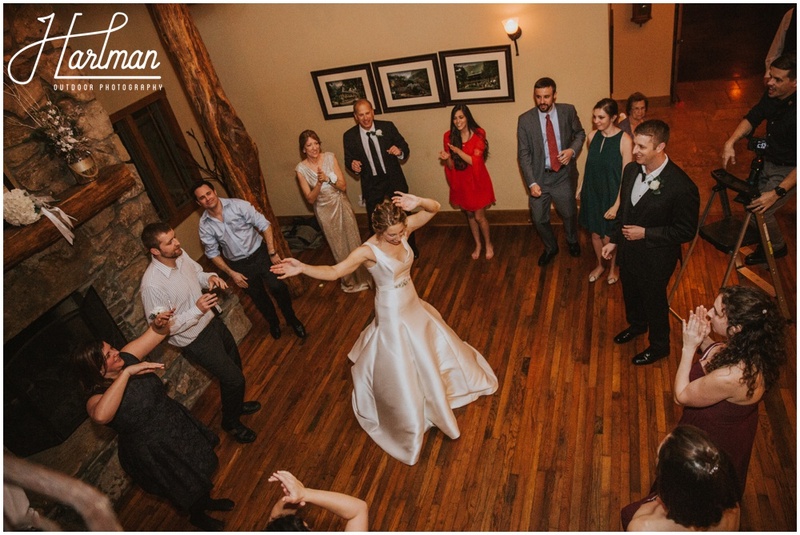 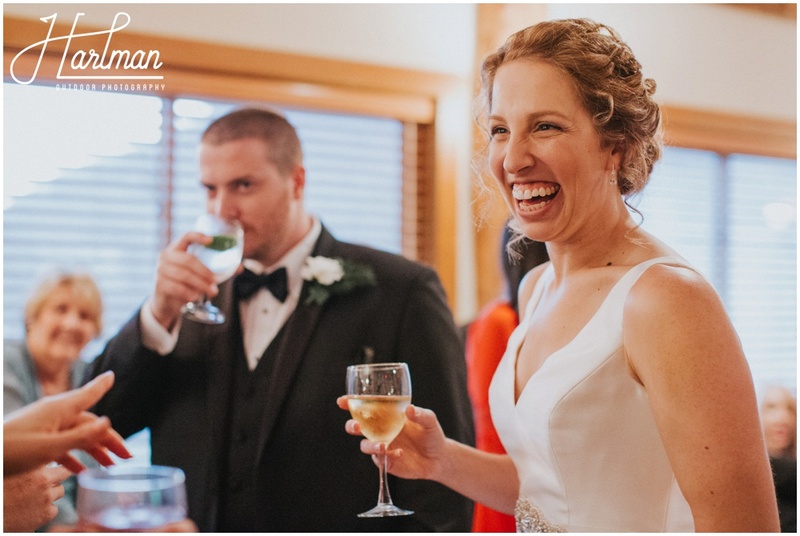 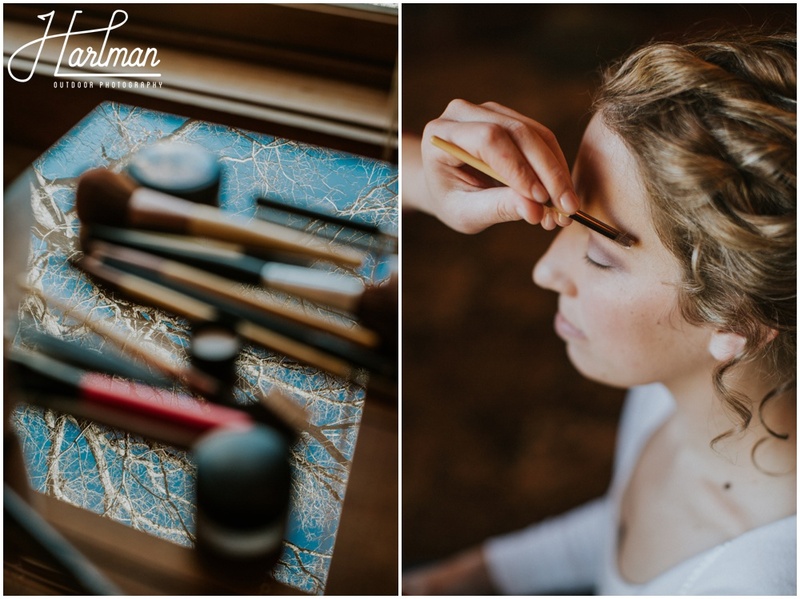 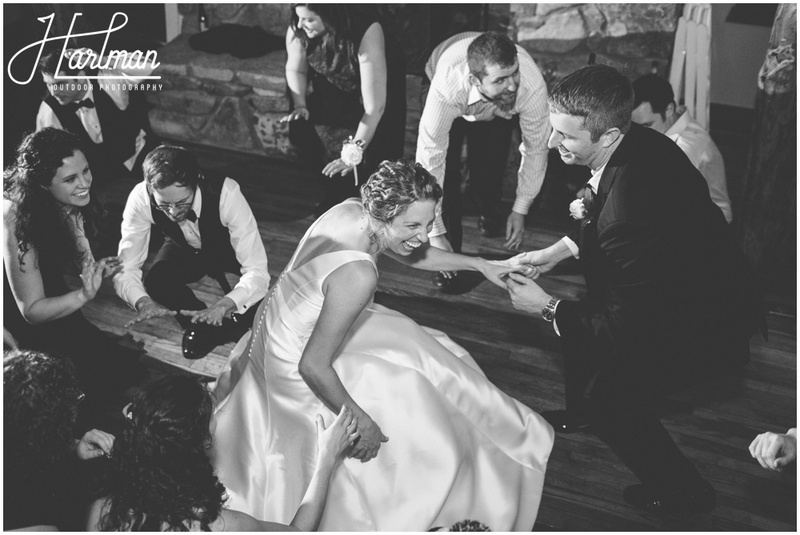 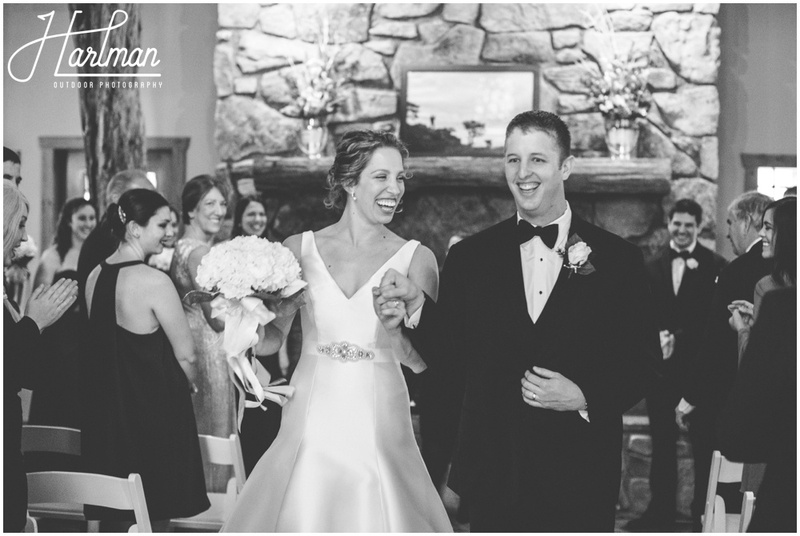 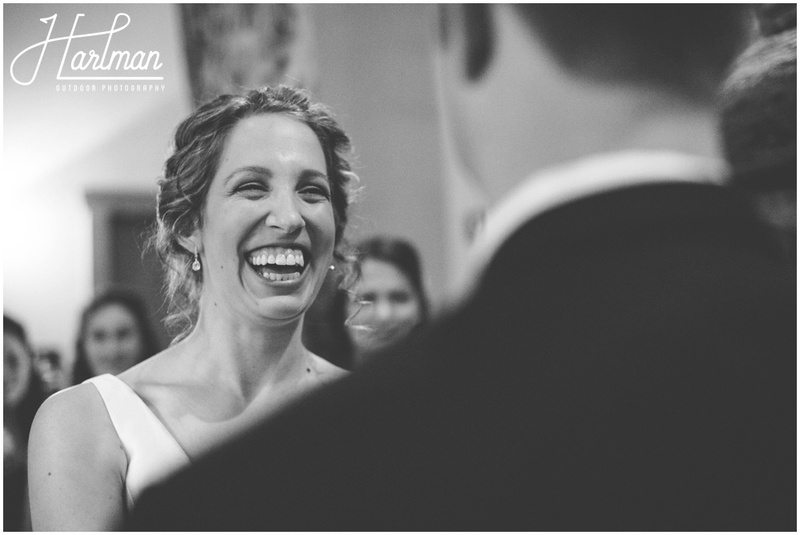 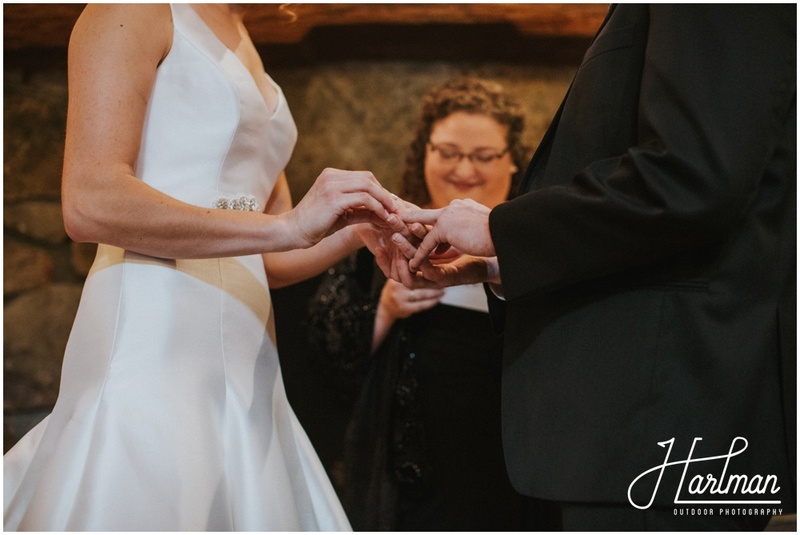 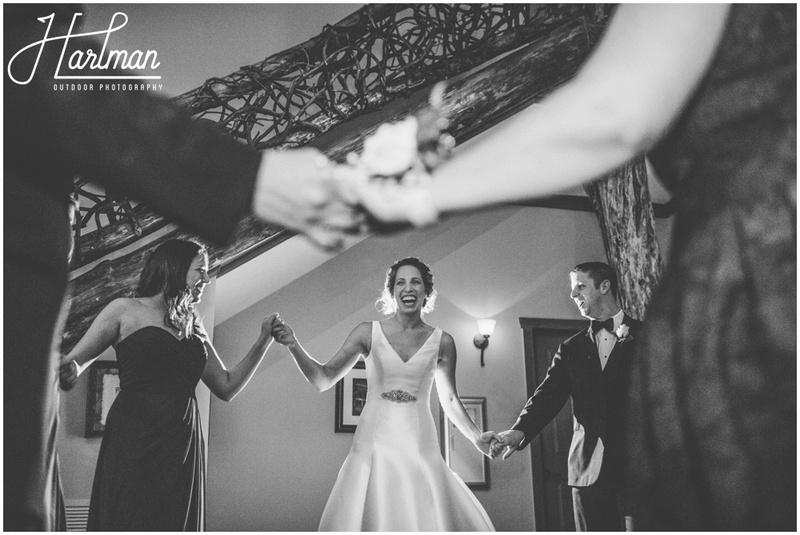 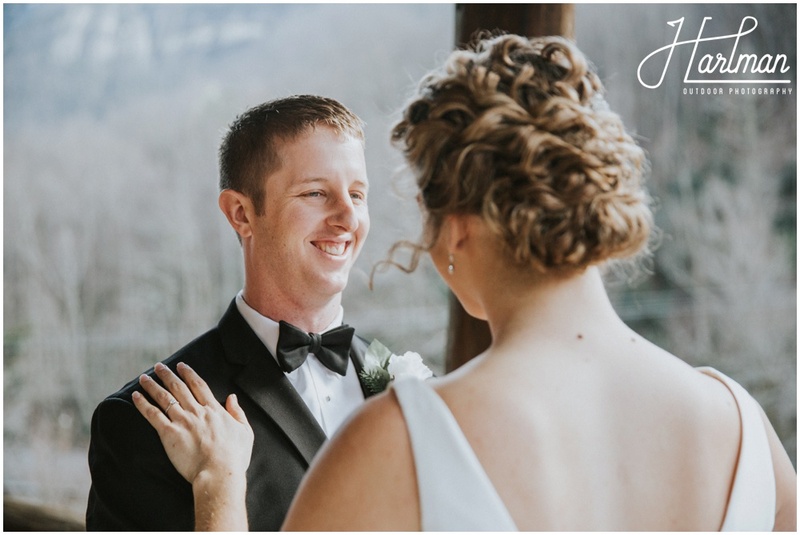 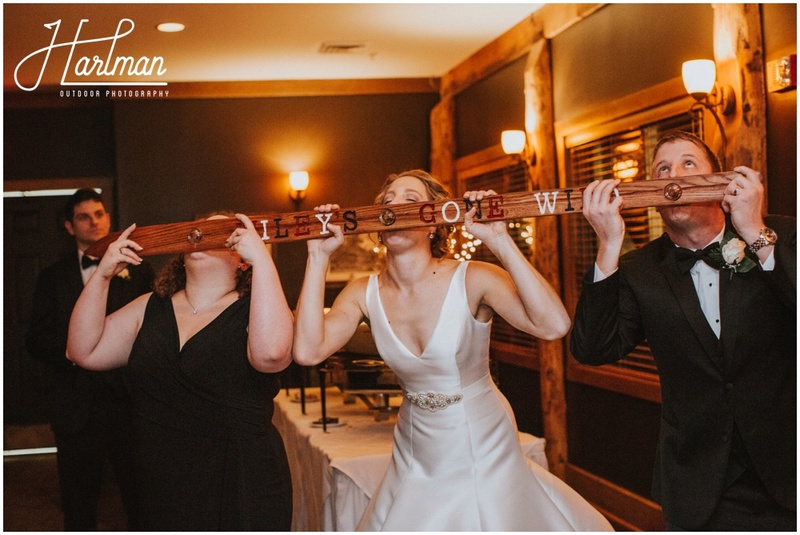 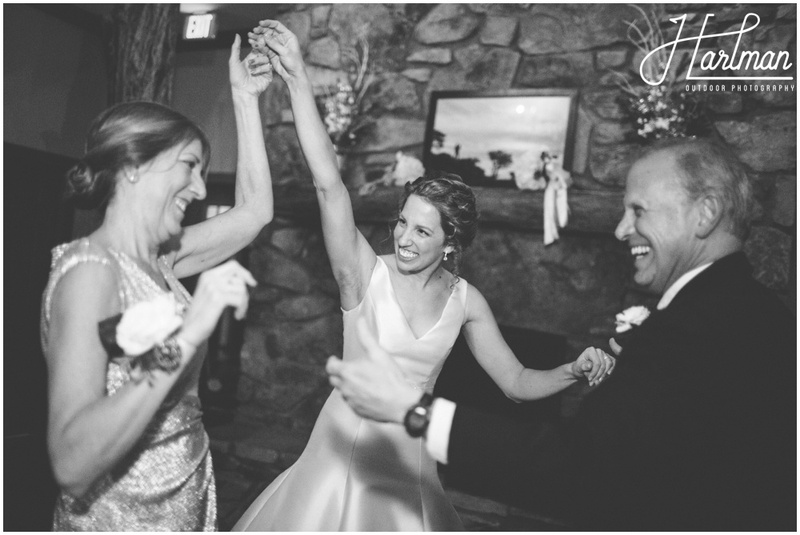 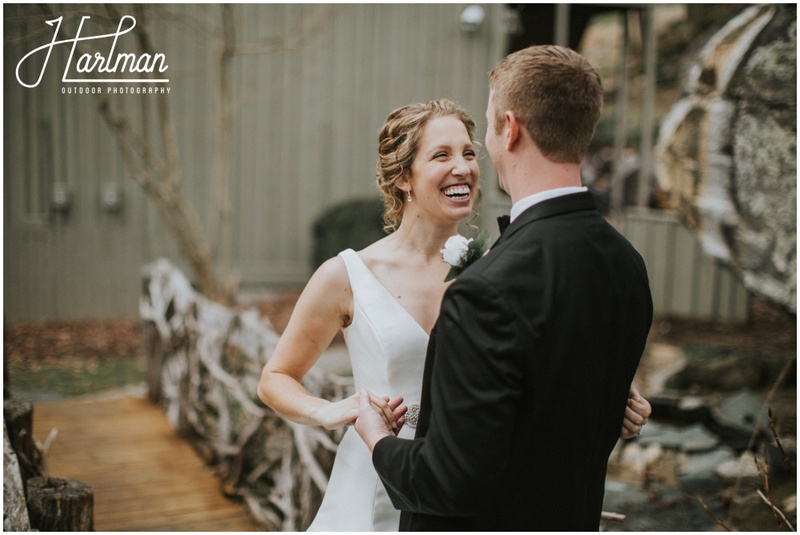 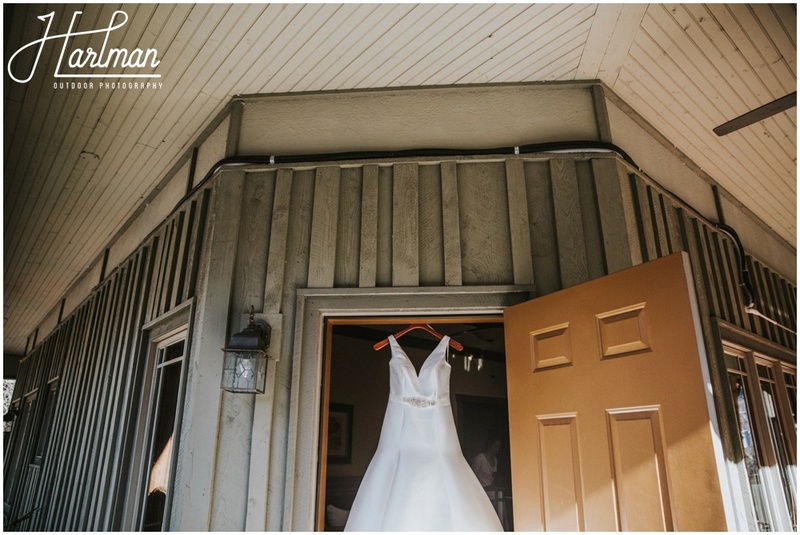 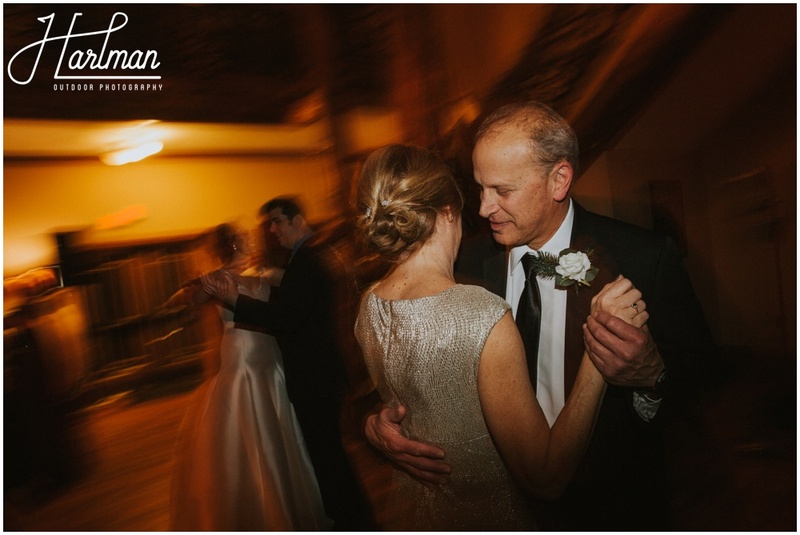 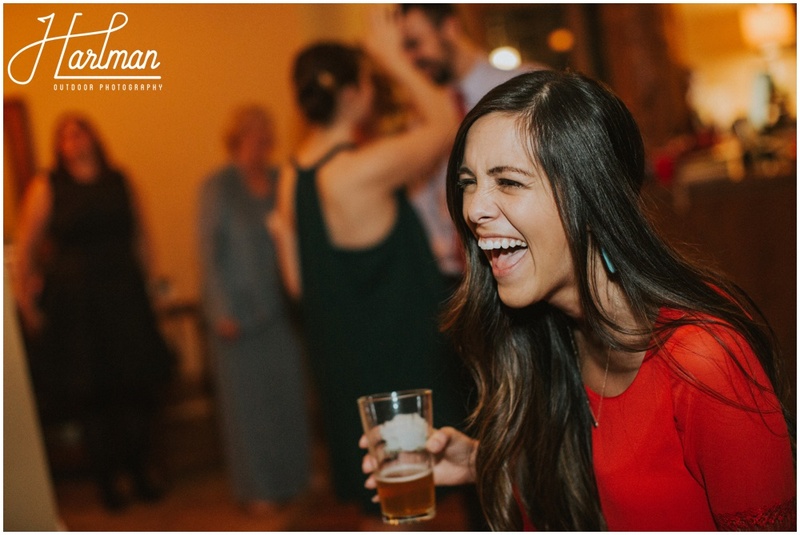 Nick and Nicole were our very first wedding of 2016. 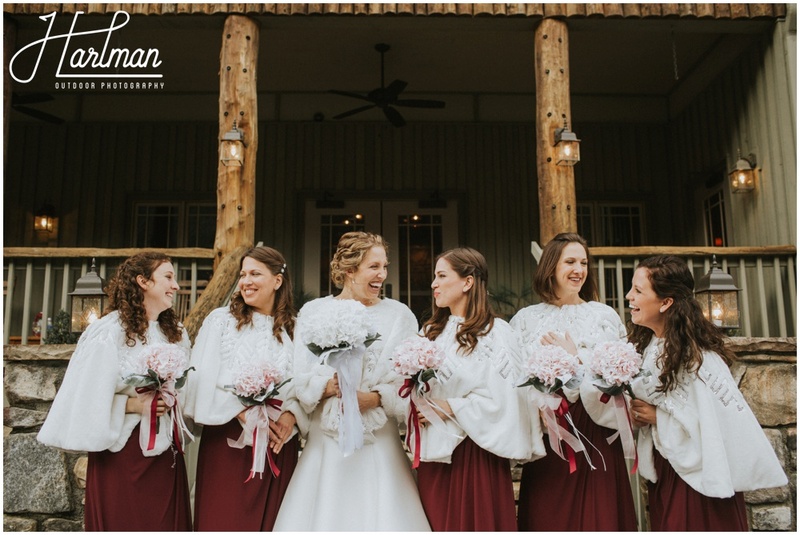 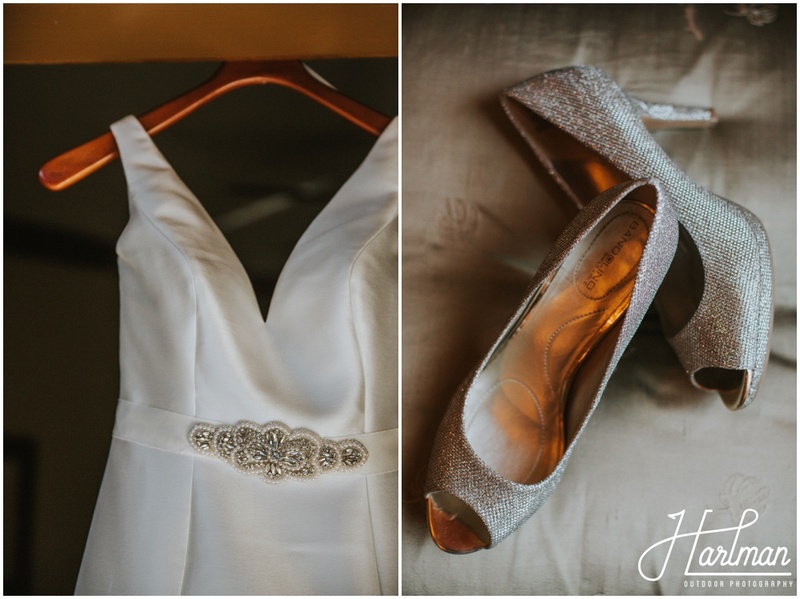 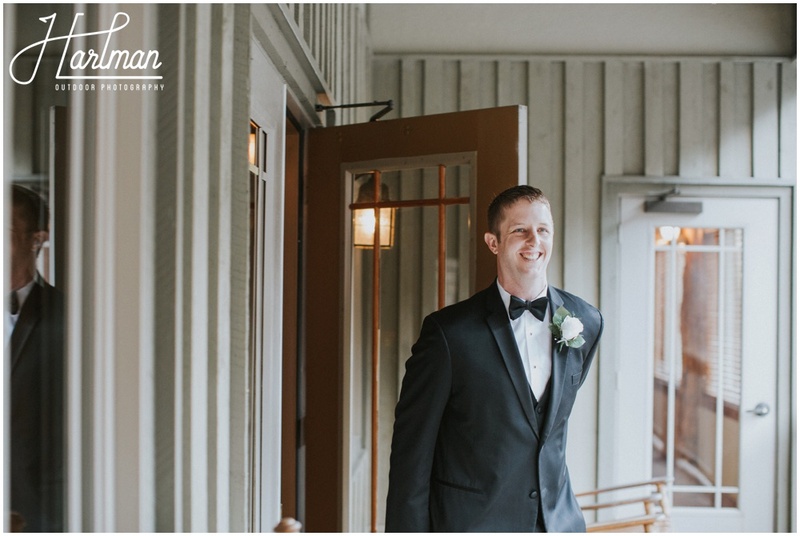 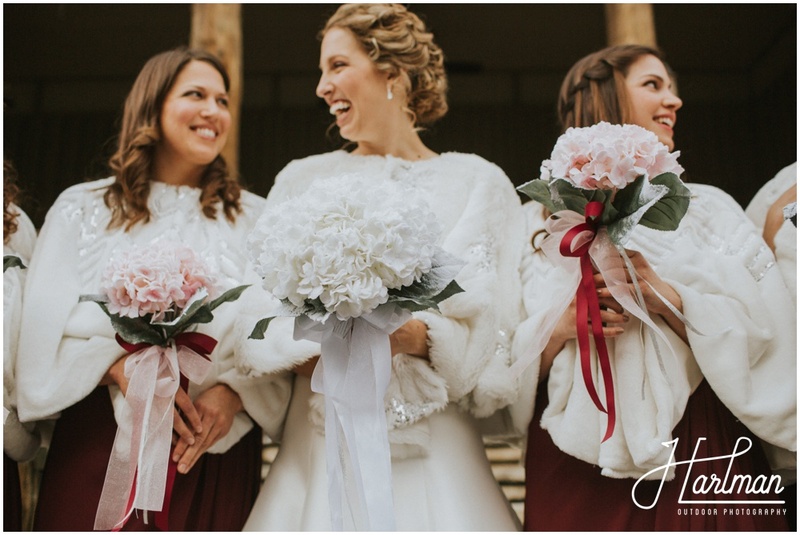 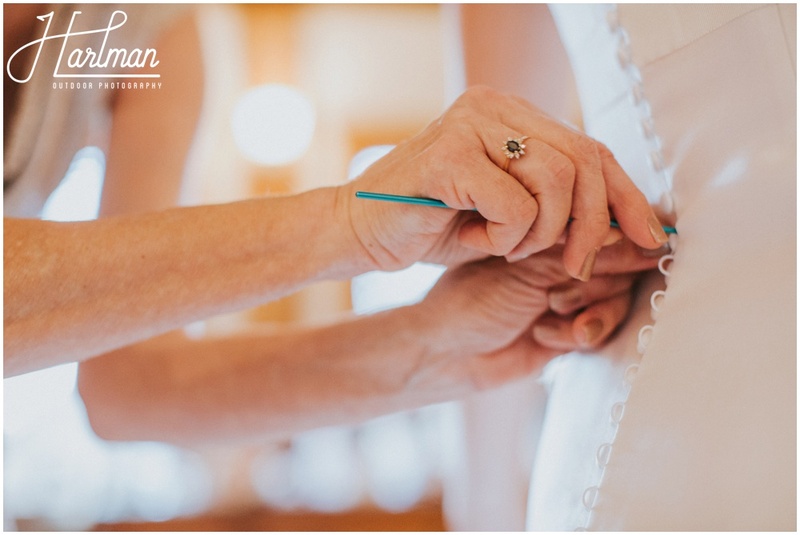 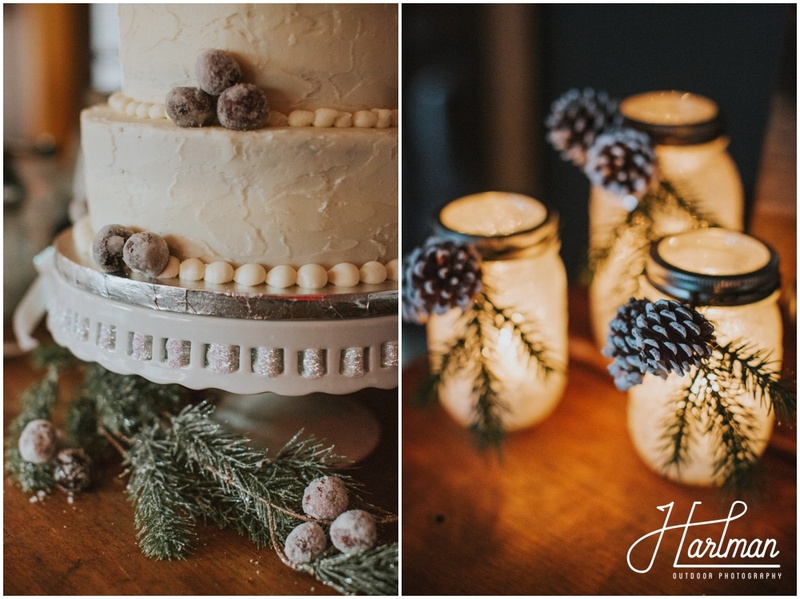 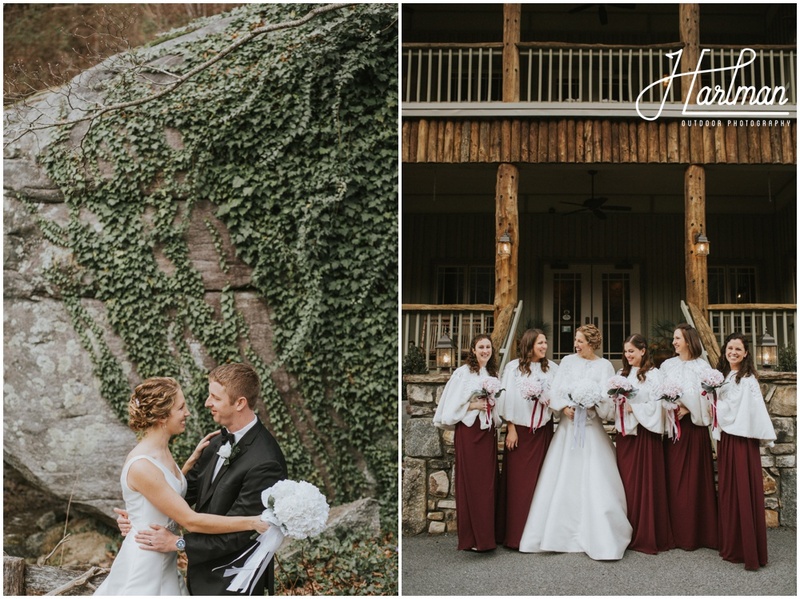 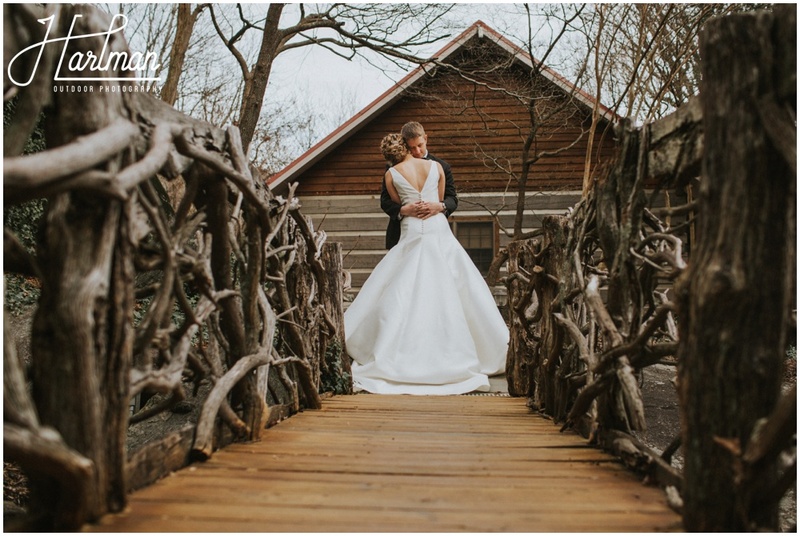 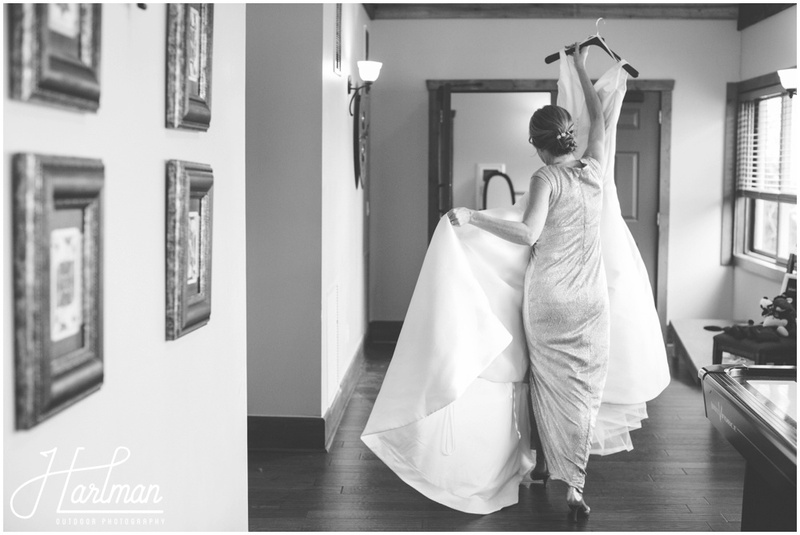 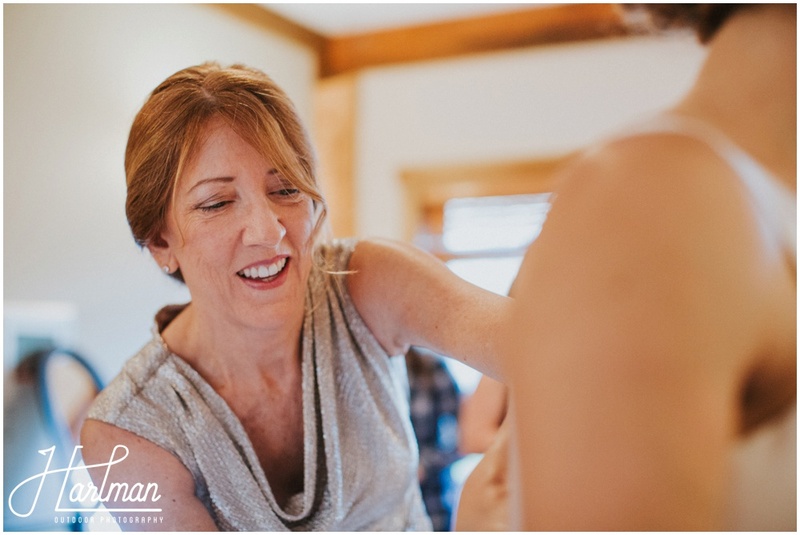 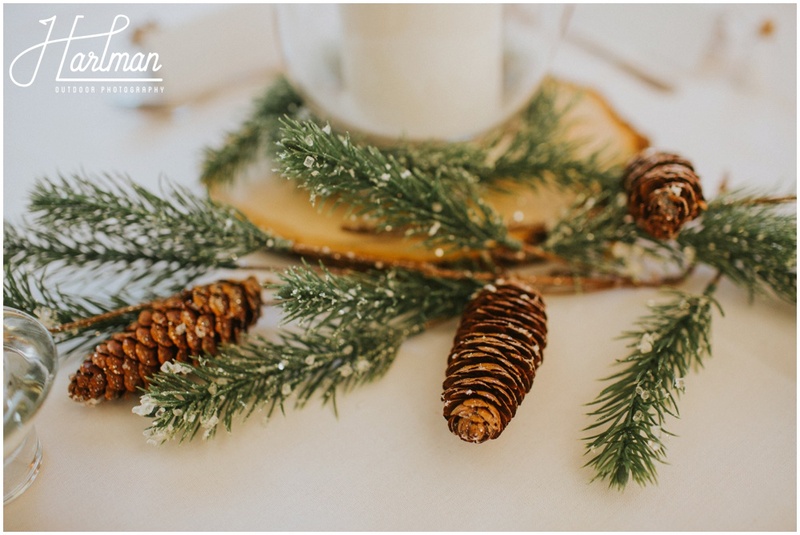 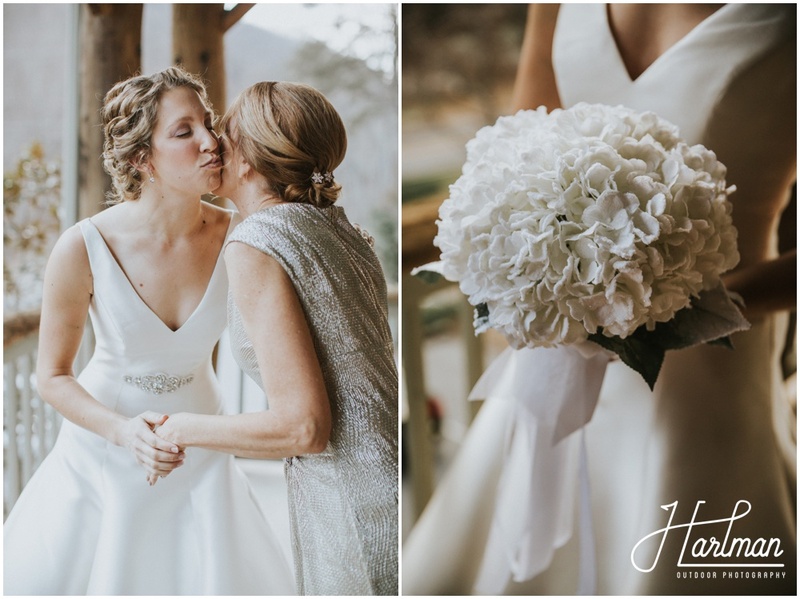 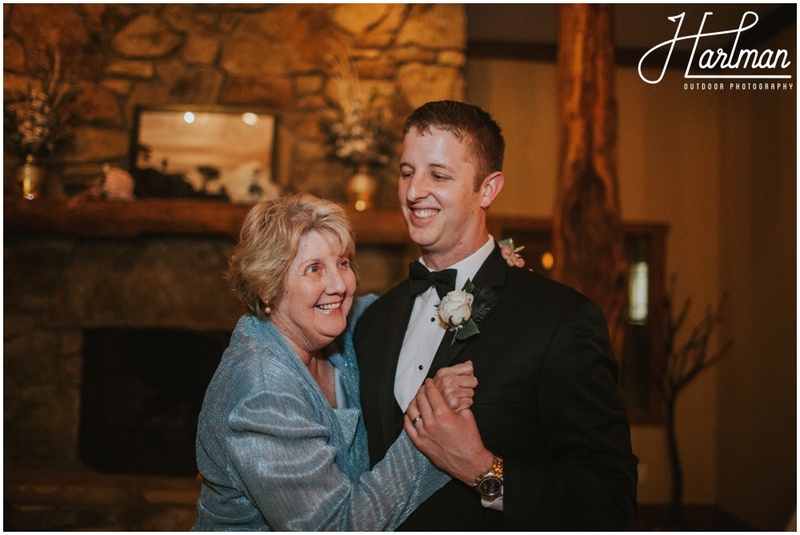 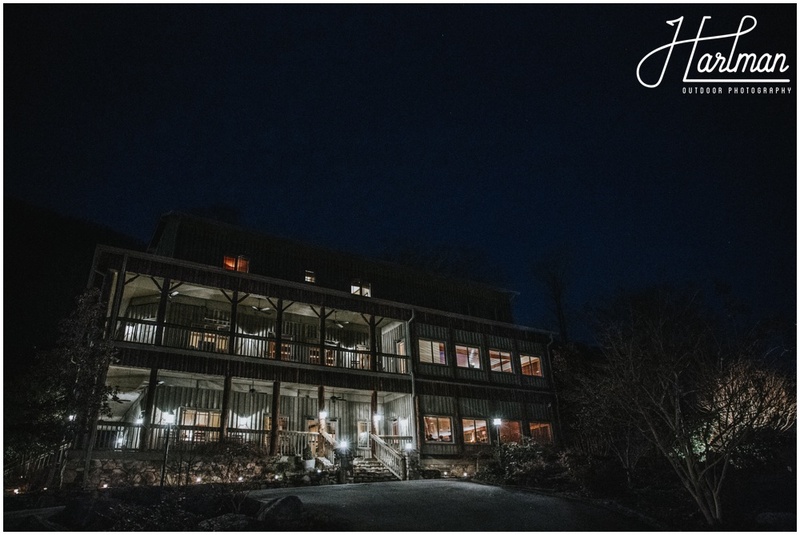 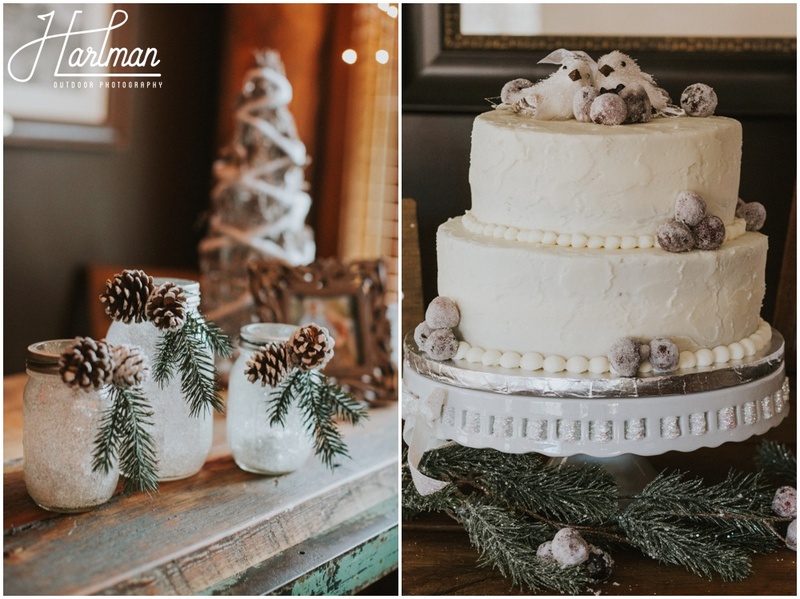 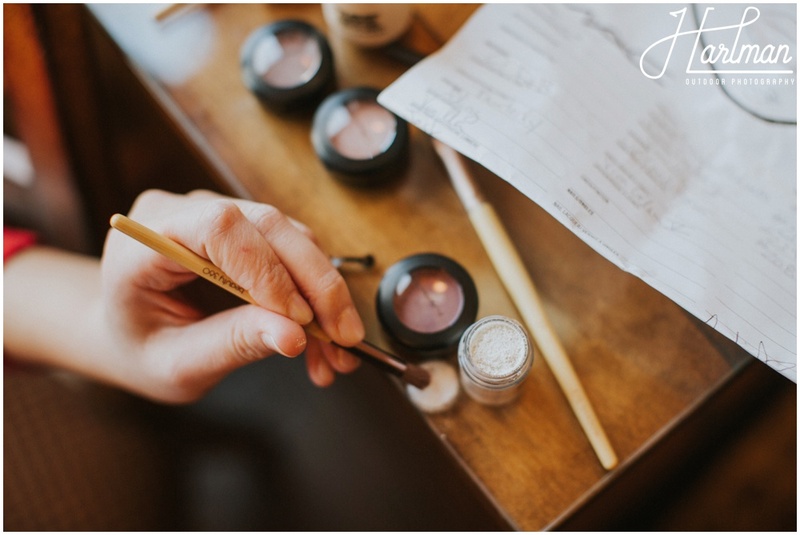 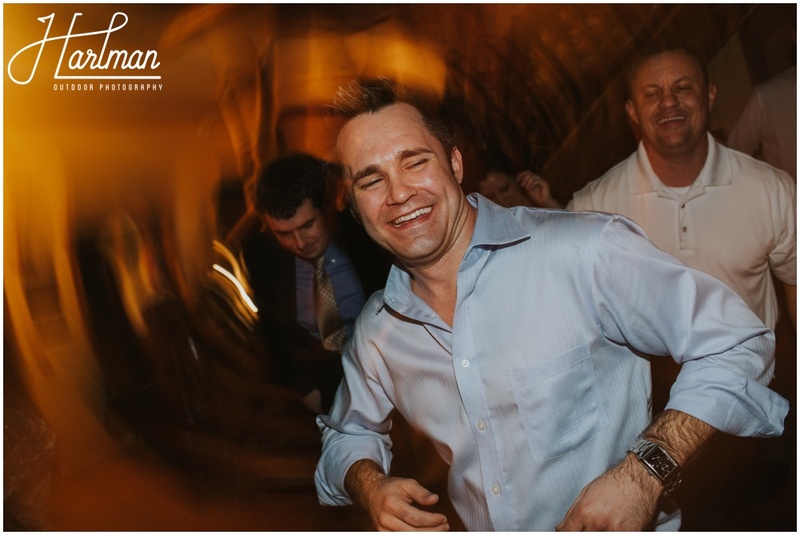 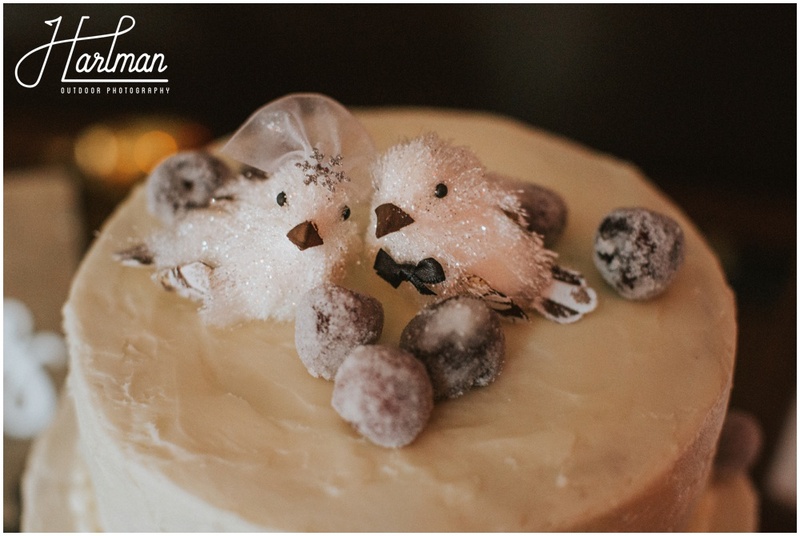 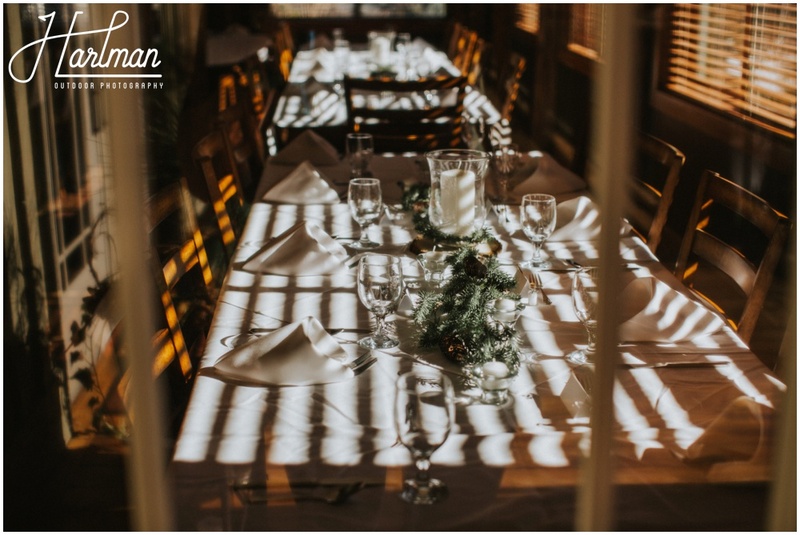 They hosted an absolutely gorgeous winter wedding this January at the Esmeralda Inn. 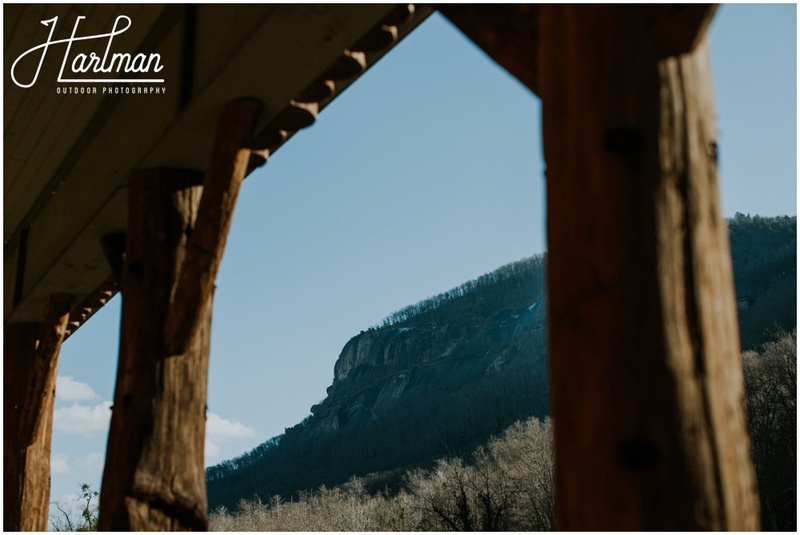 The Esmeralda is surrounded by the blue ridge mountains in the heart of Chimney Rock – located only an hour away from Asheville. 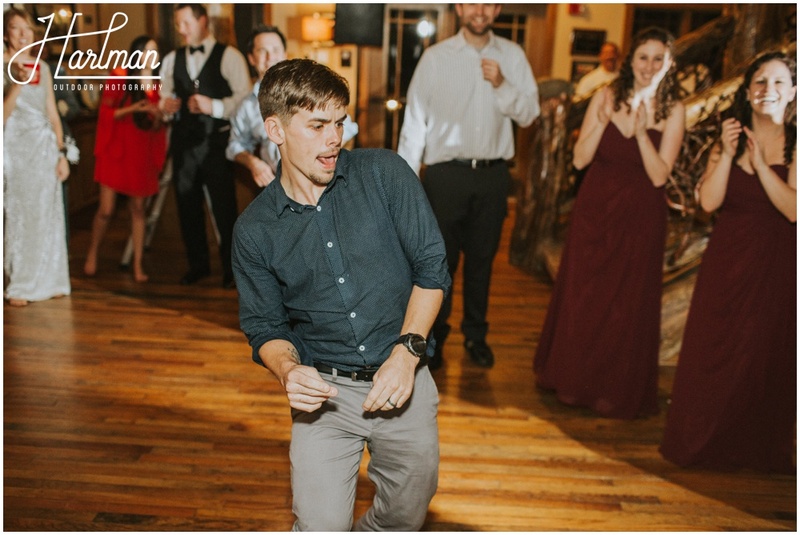 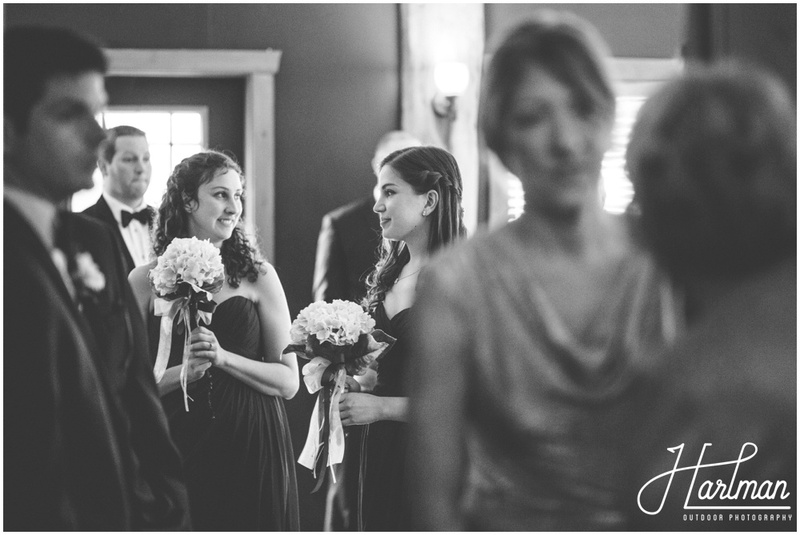 The wedding was intimate, with a guest list of 34 family and close friends. 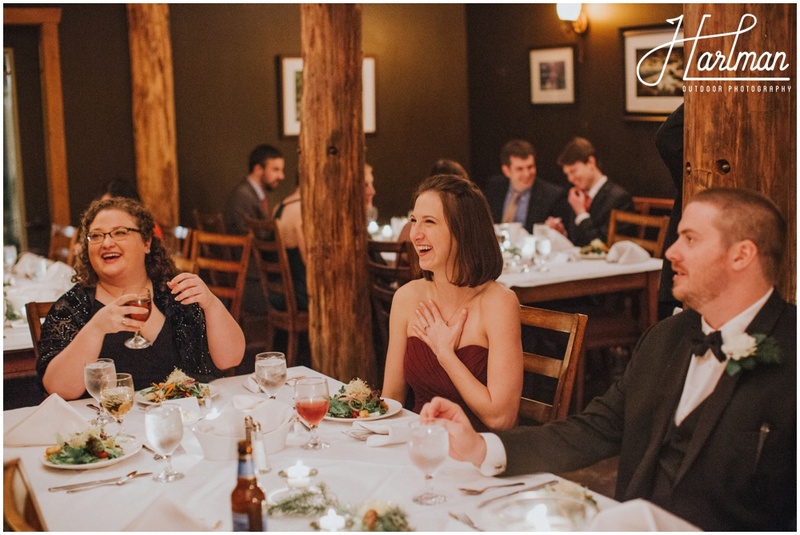 It was absolutely lovely. 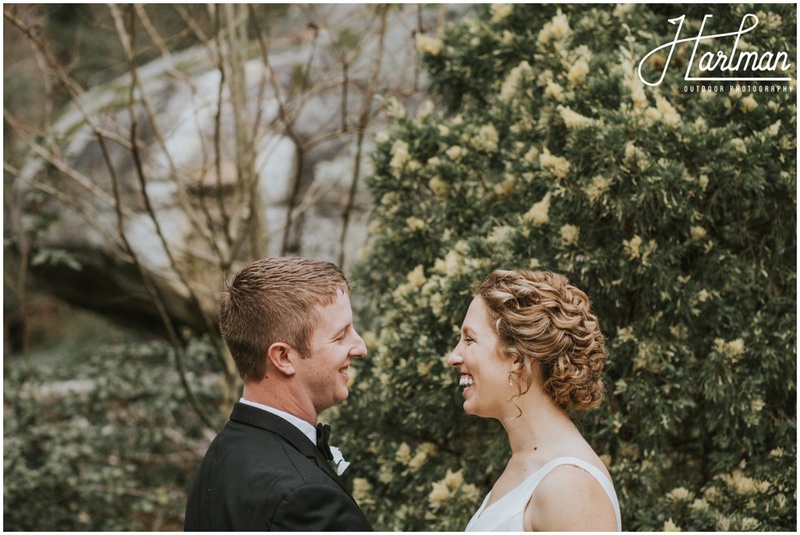 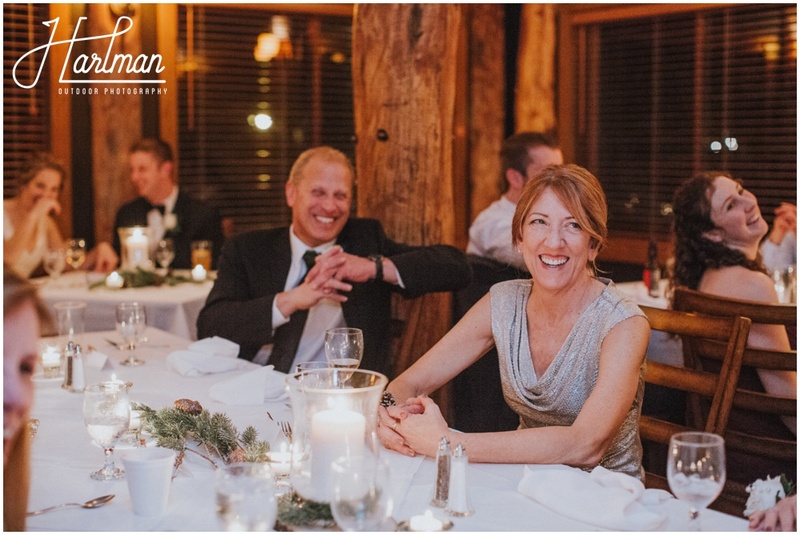 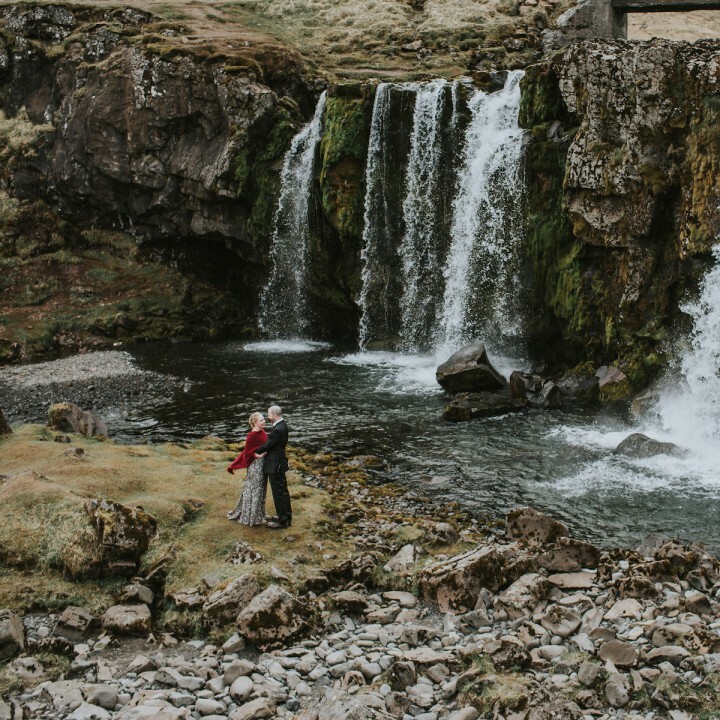 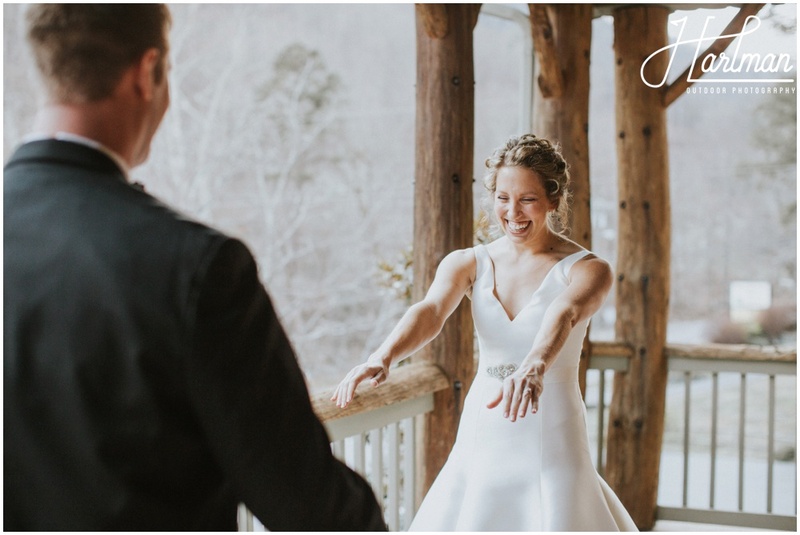 Planning a winter wedding, Nick and Nicole had crossed their fingers for a fresh snow on their wedding day. 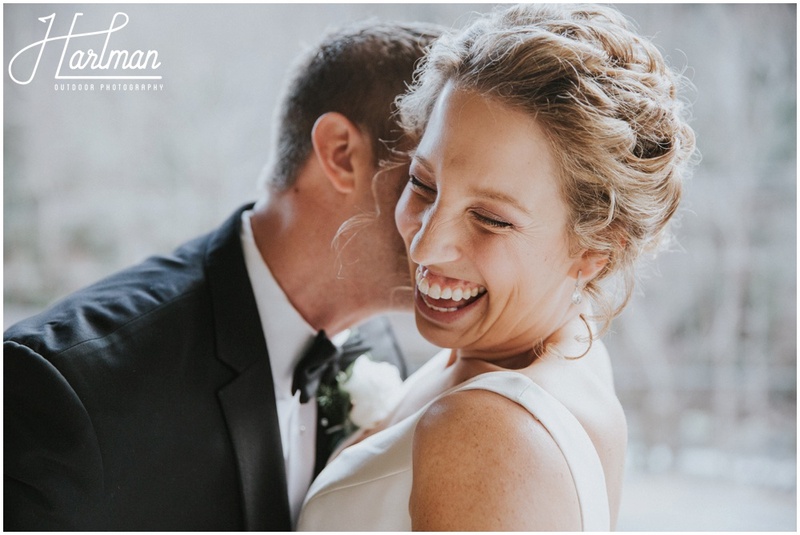 While the forecast called for possible flurries the day after their wedding, their actual wedding day was quite warm and sunny. 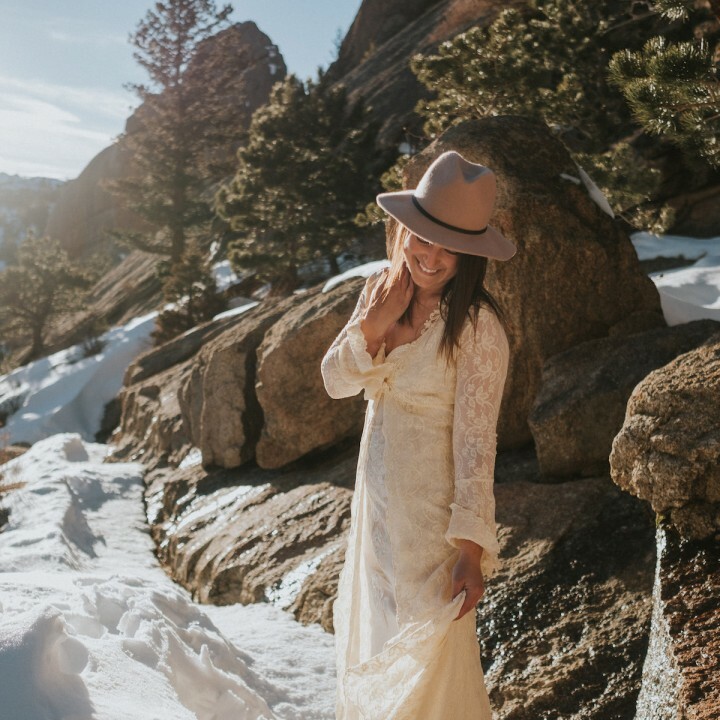 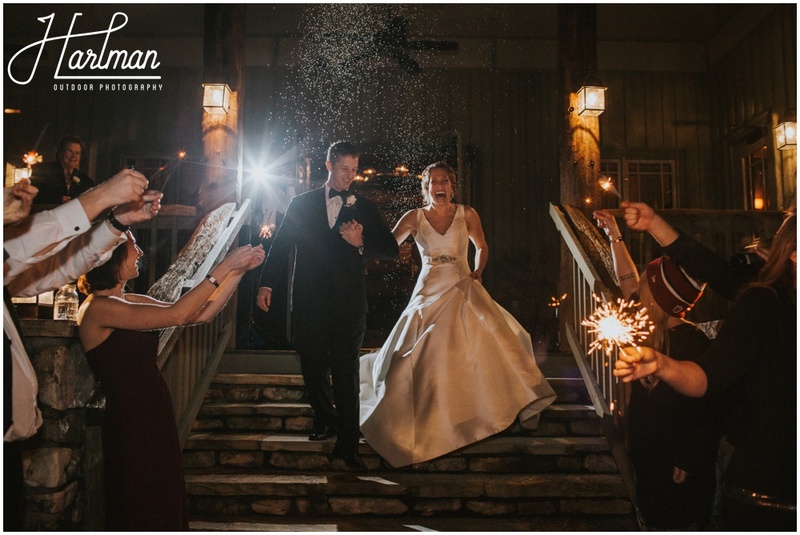 Knowing this, Nick and Nicole’s awesome friends took things into their own hands, surprising the couple with buckets of “snow” during their sparkler exit. 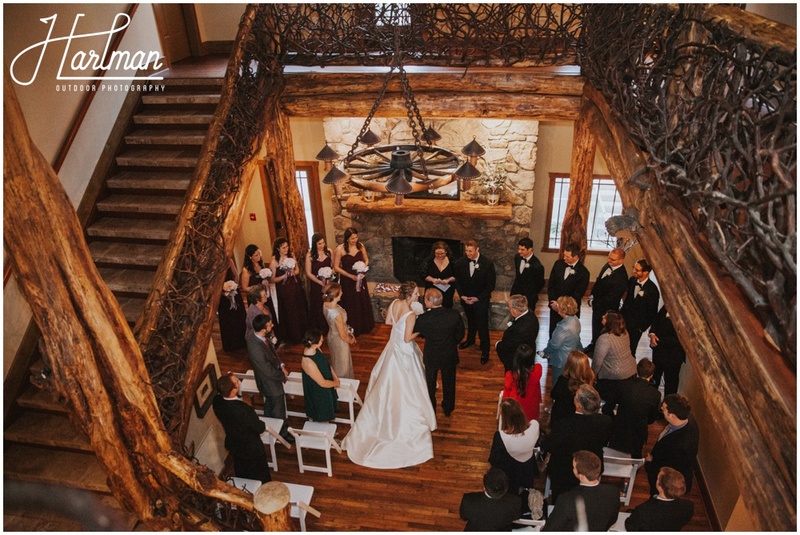 It turned out great in the photos! 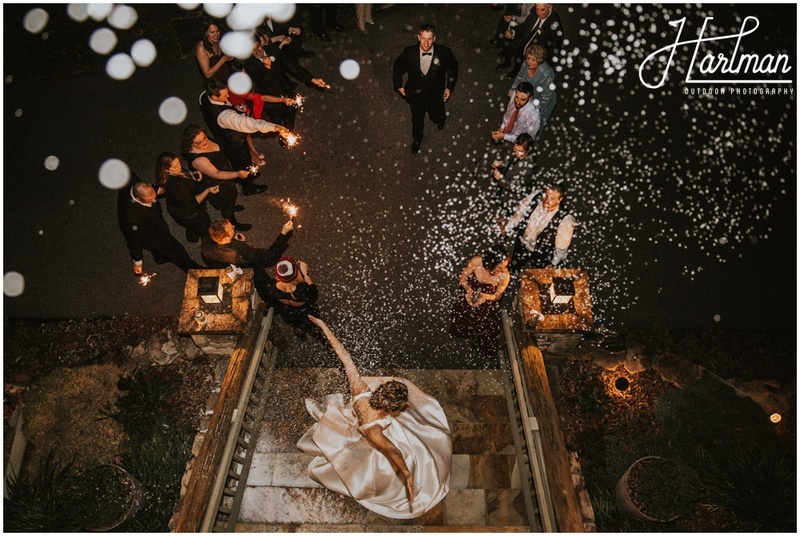 We had really hoped for some snow too and this was such a sweet gesture. 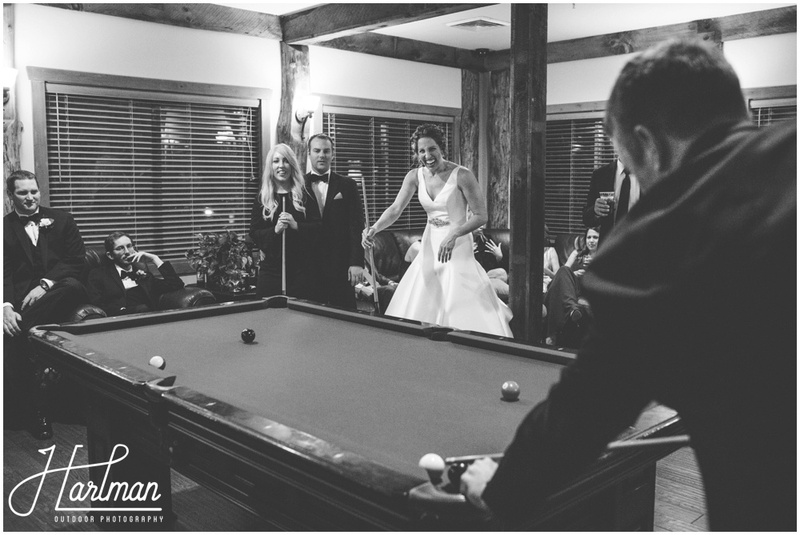 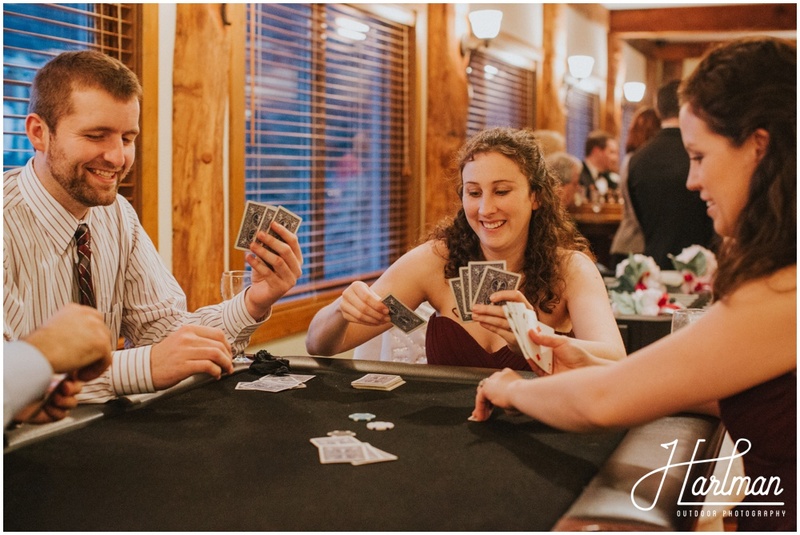 After the wedding, all guests spent the night at the Esmeralda, playing pool, cards, and hanging out. 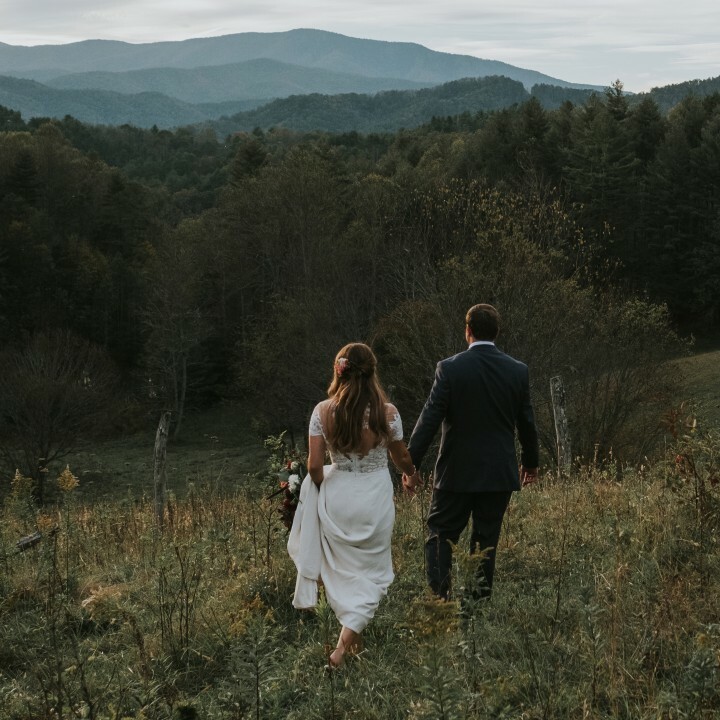 We’re so thankful to have been a part of this beautiful day. 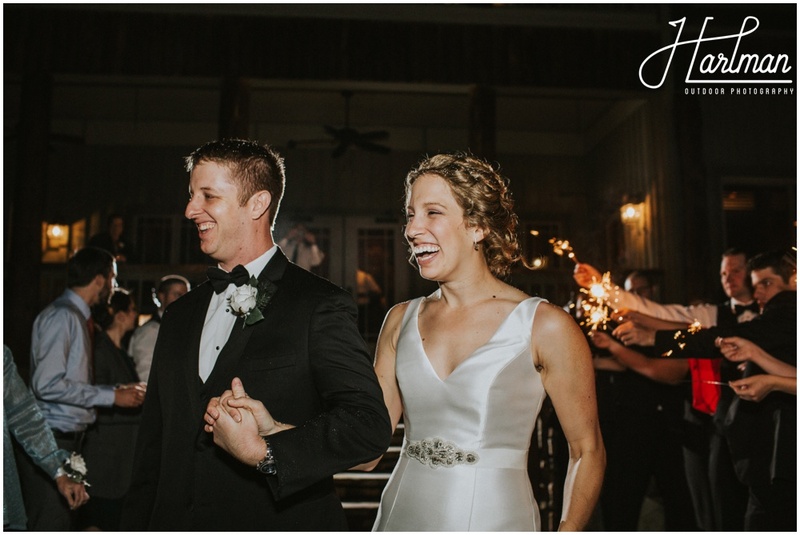 Want to see more pics of these happy faces? 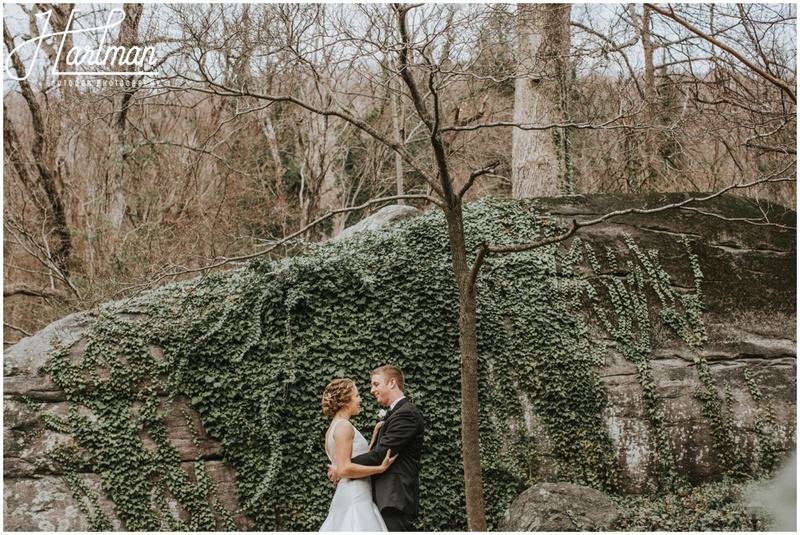 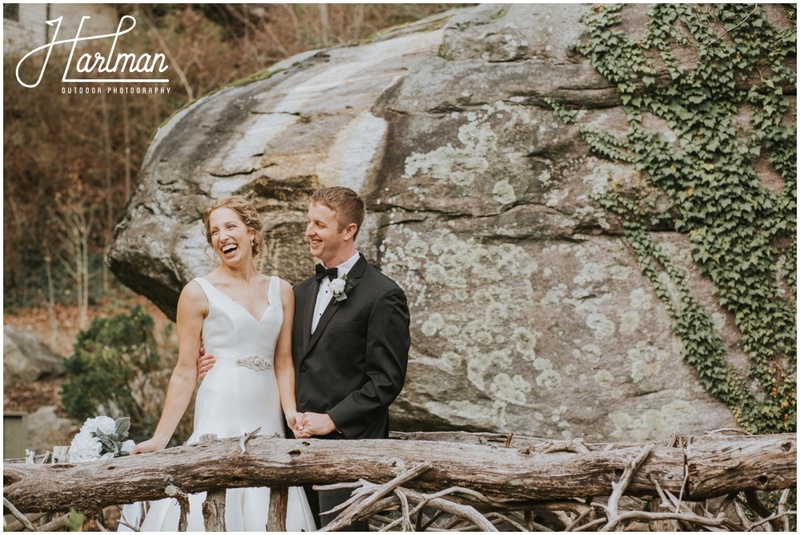 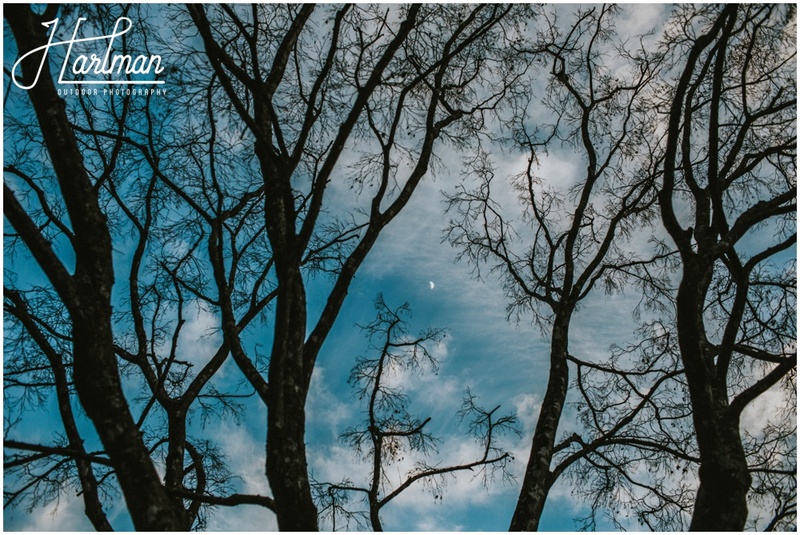 Check out our engagement session in Hanging Rock State Park.